Chess mechanical watch INSA, produced in Serbia. 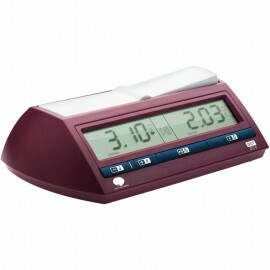 The most popular model in the category of analog chess clock. The watch is made in a plastic case. 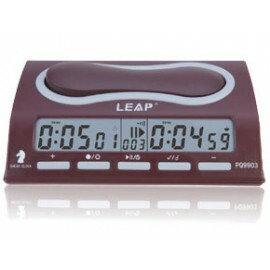 The dials of the clock, the buttons for switching the clock are convenient and large, which allows you not to spend extra time and to ..
Professional Electronic Board Game Chess «LEAP», made in China. Uses by the largest chess club in Ukraine, «Gambit». Setting time various controls, including the addition. Pause. Turn on / off sound. 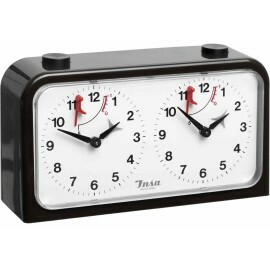 Controls FIDE time built automatically. The display has a handy tilt for o..